Why is everybody prone to derogatory and uncoordinated lies in this APC led administration? What is wrong with Nigeria my country? "I am not understanding again ooo". Say one thing now, tomorrow that is not what you said again. Thank God for media. The controversy trailing the disappearance of N36m from the coffers of Nigeria's examination board has taken another twist. 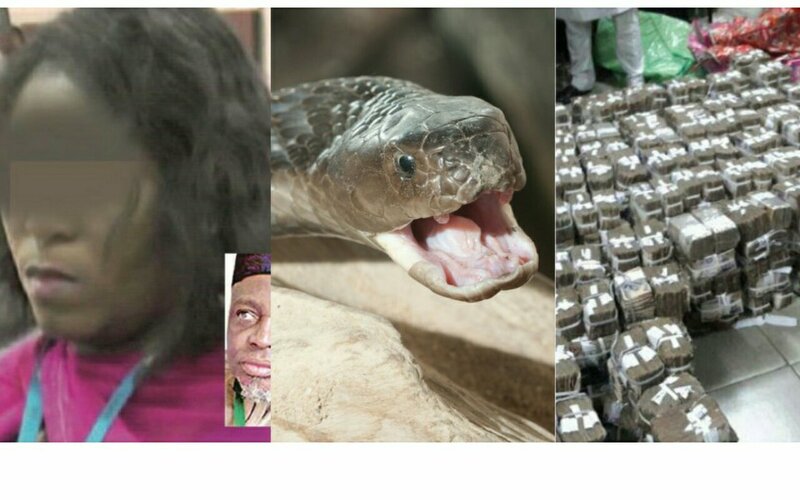 The exam board alleges that a clerk in Benue State has blamed a snake for swallowing the missing money. The money was supposed to be remitted to the agency but it wasn't. Fabian Benjamin, spokesman of the Joint Admissions and Matriculations Board, told CNN that a staff confessed to auditors a snake had "swallowed" the missing money. "She confessed that she had the money, kept it in a vault in the office but a snake came and swallowed the money," Benjamin told CNN. "The staff and others in her category that are found culpable have been suspended and will be handed over to appropriate authorities," he added. The clerk, identified as Philomena Chiesche, denied the allegations, saying the exam board invented the story about the snake. She also accused the exam board of turning her in to authorities, who she claims still haven't questioned her about the missing funds. "I did not say any money was swallowed by a snake. Nobody questioned me about that case. I am just a clerk and I serve under directors who are accounting officers. I wonder why they are personalizing the case?" the clerk told CNN. Social media erupted at the nature of the allegations. A Twitter account has been made for the snake. Nigeria's Economic and Financial Crimes Commission tweeted that the agency's national symbol, the eagle, shows no mercy for "money-swallowing snakes."